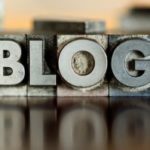 There are many reasons to start a blog by a person.Some of them are start blogging to express their words out side the world,some of them for earn something online,etc.Whatever may be the reason there are some rules to follow as a blogger to become it a success or complete.Here is some tips listed by me to become a successful blogger. Before you going to start blogging you should decide the concept or topic of your blog.A concept is the back bone of the successful blog.It will be better to select the topic which you like more rather than getting a suggestion from friend.If you are started with a topic which you don’t like the blog don’t reach at the successful point. It is also an import thing that you should be up to date with your content.At least update your blog once in a week.Your blog should have sufficient content.Don’t copy and paste any content,it will give you a negative result. You should analyze your blog visitors to find out their needs.You have to change your blogging style with their needs.You should assure that your blog visitors are satisfied with your blog content. Just encourage your visitors to comment on your blog.and also make a discussion by answering for such comments.I already post about Tips for commenting in a Blog. Even the blogging will give you some earning ,don’t try to fill your blog with ads that will cause page navigation.Search bots also considering the ads in the blogs to crawl.So we only insert the ads in the ratio to the content. Unique contents is an important thing when we considering about Search Engine Optimization.So try to write what you know and make happy your readers.Copy paste will give you a positive effect and you will not reach at success.It will be good to write 2 unique posts than copying 200 posts from other sources. You have to consider some SEO tips to make your site search engine friendly and get crawled by it.I wrote some tips to get better SEO you can check it by navigating in my blog.Optionally you can click here. 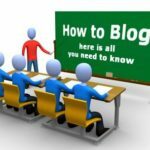 Do you like 6 Killer Tips for Successful Blogging ?